St John Waitomo territory manager, Hugh Davison. The days of single-crewed St John ambulances in Cambridge are over, making for better patient outcomes and a lowered risk to St John staffers and volunteers. The move comes as a roll-out of government funding to introduce full crewing around the country spreads through the regions. In May 2017, the then government announced an investment of almost $60 million over four years for 375 additional ambulance staff, essentially to ensure all emergency road ambulances were double-crewed by the year 2021. Hugh Davison, St John New Zealand’s Waitomo territory manager, said several areas in his region had already seen double-crewing implemented, with Cambridge coming on stream recently. The reason behind the move was three-fold, he explained. Hugh said the risk to first-responders has increased in recent years. Ambulance staff and volunteers often go into situations where they face potential assault, verbal or physical abuse, he said, with drugs and alcohol frequently playing a part. He said single-crews had been the norm until 2017 because of funding, and that St John staffers had been very lucky to be able to rely on volunteers to swell the numbers of those attending call-outs. The involvement of volunteers in Cambridge has meant that 80 percent of local call-outs over the past year have carried double crews. 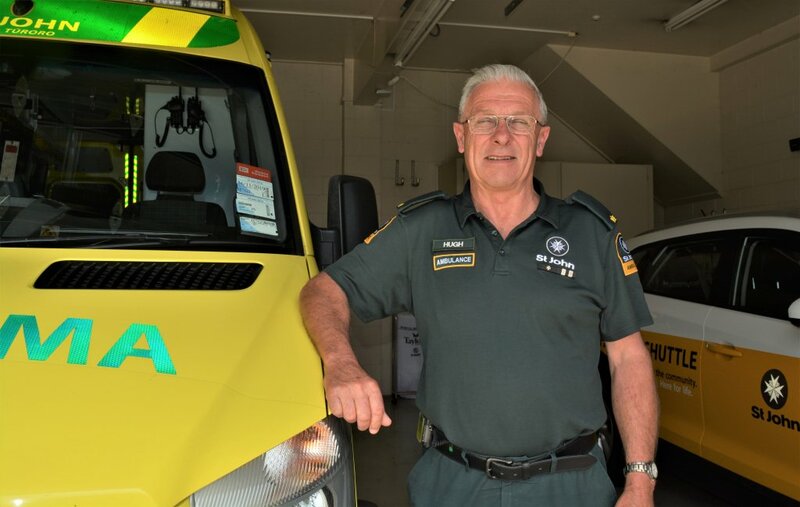 “We are very grateful to have had the assistance of volunteers accompanying our paid staff in most situations, but the increasing demand continues to put pressure on them as well,” he said. Meanwhile, the increased government funding will bring Cambridge’s complement of paid full-time permanent St John staff up from four to eight.